Concrete is a mixture of cement, fine and coarse aggregate. Concrete mainly consists of a binding material and filler material. If filler material size is < 5mm it is fine aggregate and > 5mm is coarse aggregate. Mixture of cement , sand and coarse aggregate without any reinforcement is known as PCC. PCC is strong in compression and week in tension. Its tensile strength is so small that it can be neglected in design. Function of structure is to transfer all the loads safely to ground. A particular structural member transfers load to other structural member. 1.Good Control over cross sectional dimensions and Shape One of the major advantage of concrete structures is the full control over the dimensions and structural shape. Any size and shape can be obtained by preparing the formwork accordingly. 2.Availability of Materials All the constituent materials are earthen materials (cement, sand, crush) and easily available in abundance. 3.Economic Structures All the materials are easily available so structures are economical. 4.Good Insulation Concrete is a good insulator of Noise & heat and does not allow them to transmit completely. 5.Good Binding Between Steel and Concrete There is a very good development of bond between steel and concrete. 6.Stable Structure Concrete is strong in compression but week in tension and steel as strong in tension so their combination give a strong stable structure. 7.Less Chances of Buckling Concrete members are not slim like steel members so chances of buckling are much less. 9.Lesser Chances of Rusting steel reinforcement is enclosed in concrete so chances of rusting are reduced. 1.Week in tension Concrete is week in tension so large amount of steel is required. 2.Increased Self Weight Concrete structures have more self weight compared with steel structures so large cross-section is required only to resist self weight, making structure costly. 4.Unpredictable Behavior If same conditions are provided for mixing, placing and curing even then properties can differ for the concrete prepared at two different times. 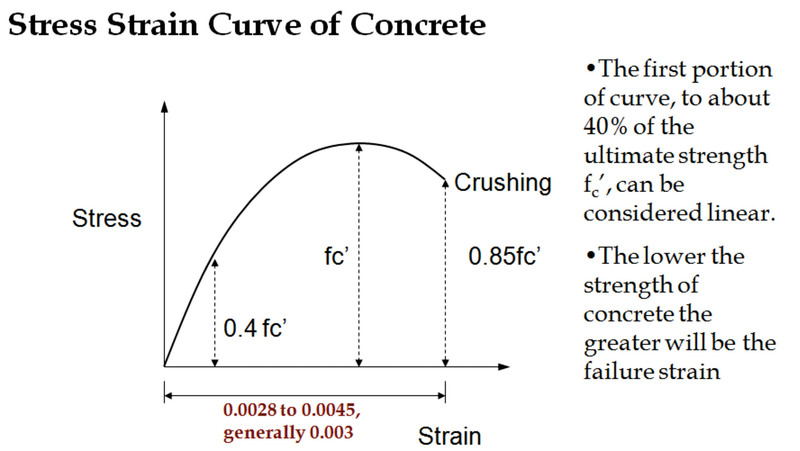 5.Inelastic Behavior concrete is an inelastic material, its stress-strains curve is not straight so its behavior is more difficult to understand. 6.Shrinkage and Creep Shrinkage is reduction in volume. It takes place due to loss of water even when no load is acting over it. Creep is reduction in volume due to sustained loading when it acts for long duration. This problem is not in steel structures. 7.Limited Industrial Behavior Most of the time concrete is cast-in-situ so it has limited industrial behavior. AASHTO Specifications for Concrete Bridges. By American Association of State Highway and Transportation Officials. ASTM (American Standards for Testing and Materials) for testing of materials. Dead Load The loads which do not change their magnitude and position w.r.t. time within the life of structure Dead load mainly consist of superimposed loads and self load of structure. Self Load It is the load of structural member due to its own weight. Superimposed Load It is the load supported by a structural member. 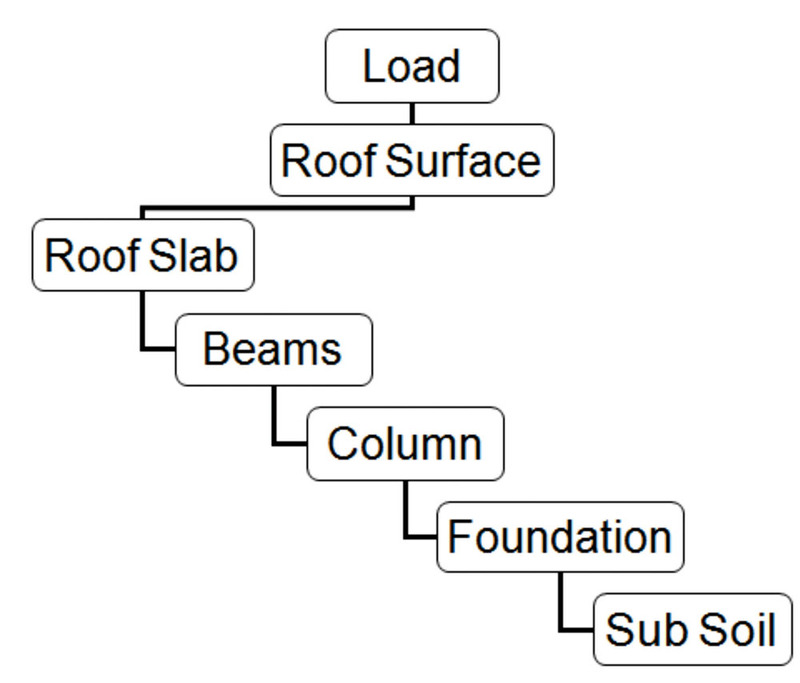 For instance self weight of column is self load and load of beam and slab over it is superimposed load. They may be either fully or partially in place or not present at all, and may also change in location. Their magnitude and distribution at any given time are uncertain, and even their maximum intensities throughout the life time of the structure are not known with precision. The minimum live loads for which the floor and roof of a building should be designed are usually specified in the building codes that governs at the site construction. 2.If F.O.S is provided then at service loads deflection and cracks are within limits. 3.It covers the natural disasters. In allowable strength design the whole F.O.S. is applied on material strength and service loads (un-factored) are taken as it is. In capacity analysis size, shape, material strengths and cross sectional dimensions are known and maximum load carrying capacity of the structure is calculated. Capacity analysis is generally carried out for the existing structures. In design of structure load, span and material properties are known and cross sectional dimensions and amount of reinforcement are to be determined. The structure should be safe enough to carry all the applied throughout the life. Structures should be economical. Lighter structures are more economical. In concrete Structures overall cost of construction decides the economy, not just the self weight. To combine various loads in such a way to get a critical situation. 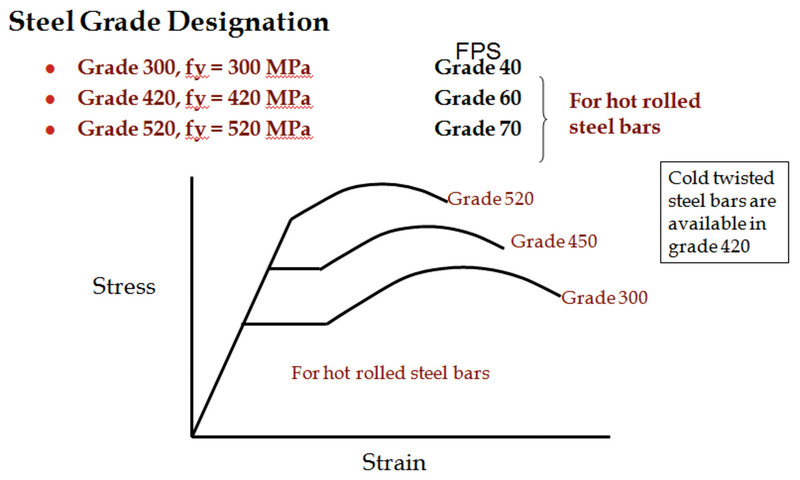 Creep deformations for a given concrete are practically proportional to the magnitude of the applied stress; at any given stress, high strength concrete show less creep than lower strength concrete. How to calculate shortenings due to creep? Consider a column of 3m which is under sustained load for several years. The cylinder has 150mm dia and 300mm length. According to ASTM standards at least two cylinders should be tested and their average is to be taken. BSS specifies the compressive strength in terms of cube strength. Cylinders should be tested in moist condition because in dry state it gives more strength. Not less than once for each 115m3 of concrete. Not less than once for each 450m2 of concrete. Code allows the site engineer to ask for casting the test sample if he regards it necessary. Every arithmetic average of any three consecutive strength tests equals or exceeds fc’. 1.Every arithmetic average of any three consecutive strength tests equals or exceeds fc’. 2.None of the test results fall below required fc’ by 3.5 MPa. Ingredients of concrete are mixed together in order to get a specified Required Average Strength, fcr’ . If we use fc’ as target strength during mix design the average strength achieved may fall below fc’. 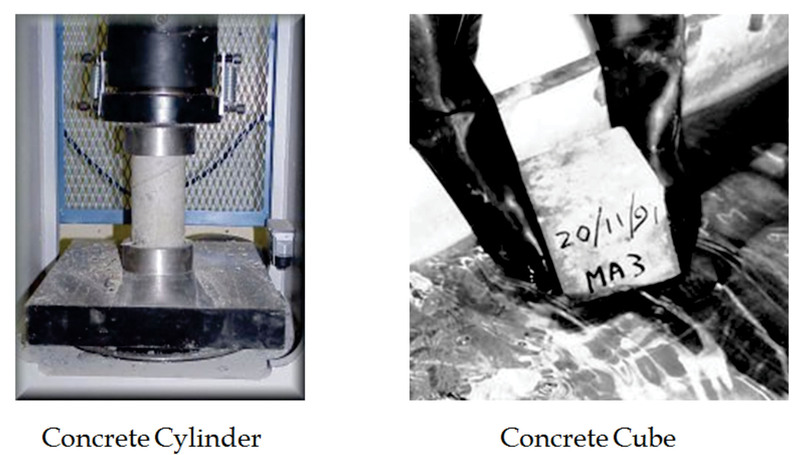 To avoid under-strength concrete fcr’ is used as target strength in-place of fc’. is the one which is being used in design. Deformed bars have longitudinal and transverse ribs. Ribs provide a good bond between steel and concrete. If this bond fails steel becomes in effective. i am looking forward for ultimate tensile strain of plain concrete. 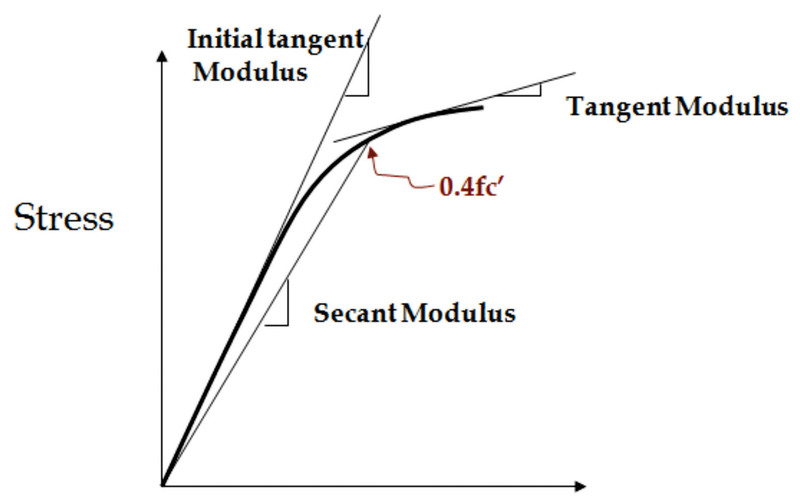 however, i would like to know as HOW to plot the tensile part of stress and strain curve of concrete with reference of tangent modulus or secant modulus. These Experiments are to be uploaded on our site.